Lawyer Gang, I want to “Thank You” for your legal expertise on this case and the amazing work you and your legal team did on my behalf in winning this case. I’m forever grateful again. Thank you very much. 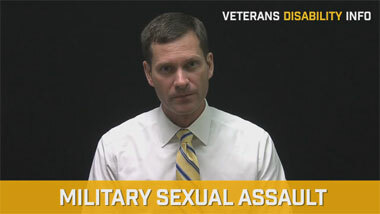 For many years with evidence in hand I tried without success to claim my conditions obtained in service to the VA system, I also asked for help from veteran aid associations and did not have positive results. Until I got the services of Eric Gang, all his experience, dedication and his excellent working group was the key to obtain a result in my favor and fair in my claims. For this I recommend all my fellow veterans who are fighting for their rights to give him the opportunity and trust as I did, having a positive result, thanks to the lawyer Eric Gang. For years I attempted to go at it alone into the hardest, most challenging, difficult, obstacle-course; VA: a maze of real tricks and booby-traps designed to keep your head perpetually spinning, and frustrations, only to be told; "you are not-service-connected or "denied." Until I hired Eric on 2/3/16, I began to see results. Thanks to Eric (and Associates) a real Pro: a serious expert who has dedicated his life, studies, and efforts to serve US -who served! I am at 90%. Our aim now is TDIU. Hello Mr Gang, it is a pleasure for me having you as my representative. In the year 2010, when I contacted your office, I was surprised because on the very first call I was attended by you. Thank you for being so professional and responsible in every step of the way. I want to congratulate you and all your staff, they were very dedicated, no matter what was my concern, they're just awesome. I am truly satisfied with every decision made, you fought for me in many ways and did not give up, that's why I am so thankful for all my service connected cases. It just couldn’t be done without your expertise. I would recommend you to every veteran. Thanks Mr Gang. The VA attorneys are very astute. They are paid very well by the government to make sure veterans lose all claims. The VA denied my claim repeatedly. I needed help. My husband fought with the VA prior to his death, and I have been fighting with the VA for the past 4+ years. Filling out papers, waiting and waiting and waiting only to be denied and denied and denied. I am in my 90th year, was extremely frustrated, needed compensation and not knowing where or who to turn to. I was recommended to Eric Gang, Esq. He took my case, he listened, he heard and he cared. Mere words will never be enough to properly and accurately express the gratitude for Mr. Gang and his staff of professionals he used to obtain my 100% disability rating from the Dept. of Veteran Affairs. I have never before in my sixty six years of life been witness to such a high degree of use of strategies and expertise at precisely the time in which they were required. Mr. Gang you made what all others said would be impossible, a reality. Your compassion for the wounded Veterans is unmatchable. God bless you Mr. Gang. Thank you for sending me a copy of the decision by Judge Greenberg. To be honest, I was at first hesitant to open your letter because I have received so many denials in the past 7 years regarding this claim. However, when I did I can’t tell you how happy I was to read your letter. I would like to thank you and your staff for making this happen. I realize this is not the end but I feel that with your knowledge and expertise I have a very good chance of finally having my claim approved. Gang Associates are clearly miracle workers! I want to thank you for representing me and winning my appeal case against the Veterans Administration. After numerous denials from the V.A., I decided to obtain a lawyer. I contacted Jeffery Freeman lawyer, who in turn referred me to you (Gang Associates). You not only won my appeal case against the V.A, but got me back pay totaling in the amount of $136,000. Gang Associates are clearly miracle workers! I would readily refer Gang Associates to another veteran. Again thank you for your help in winning my appeal case. I will always be grateful and humble to you all for the rest of my life!! On behalf of myself and my family I want to thank you and staff for all your hard work and attention to my case. I will always be grateful and humble to you all for the rest of my life!! Serving in the Marine Corps was and is the proudest and most difficult time in my life, but I would do it again, cause I love my country very much and would do all to defend her, as three generations of my family have. Thank you very much for your hard work and dedication to getting me approved for PTSD. It took awhile but we all fought hard. Again THANK you BOTH very much. 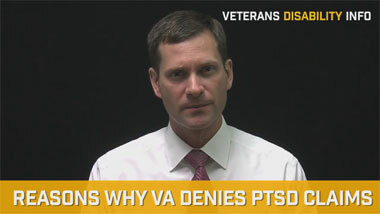 I talked with you about my denial from the Board of Veterans Appeals. You explained it to me and told me to apply for an increase for PTSD instead of going for TDIU. I ended up doing it myself like you said. Within 2 months I ended up with an increase of 70% for PTSD and TDIU so therefore I received 100% VA disability. I do so appreciate you guiding me in the right direction. You were honest with me instead of taking advantage. You helped me so much. I want to say thank you so much. Thank you for fighting for me through all the roadblocks and red tape of the bureaucracy. It’s difficult to find words expressive enough to thank you for your tireless efforts in my behalf. One of the worst aspects of the government’s denial of compensation for my military service on the rivers and in the villages of Vietnam has been the fact that I was, essentially, called a liar. I know where I was, and I know what it did to my mind. The friends I lost there will never be forgotten. Thank you for fighting for me through all the roadblocks and red tape of the bureaucracy. After so many years and so much frustration, not to mention the five cancers and the numerous medications for mental disability, I feel somewhat vindicated. Thank you, Mr. Eric Gang, and your associates, for all you have done for me. Thank you Mr. Gang for you and your staff representing me. I know you and your staff are the very best at what you do. You know how to put the circumstances the way they are. You are a professional…fight to the end. You are good doing your job. Gang and Associates were very professional, courteous and kind during this ordeal. This law firm did achieve a winning result. I was very pleased. Mr. Eric Gang and staff were readily available to answer questions or concerns. I would highly recommend their services. He also wrote many letters. You do your job very well and you were always pleasant and caring. Thank you. I was elated in my first exposure to your firm and with God on my side I chose your firm over 15 others. Sir, the time estimate for my case was cut in half by your working staff. They always had an answer for me when I called. You also responded to my inquires. Now that’s taking care of a client. I have proven that I was right in my fight. My pain may never go away, but my heart and now my mind are at ease. Thank you! All you have done for me on this case has changed my life. Just being able to pay my bills has changed my world. Last Friday I received a letter from the VA which ruled in support of my original claim. I believe that all of the work that you and your associates did on my behalf to have my appeal remanded made all the difference… From the first time I spoke to you I felt very comfortable with having you represent me. I had talked to some other attorneys that did not want to take on my appeal but you immediately had a few suggestions on how to proceed. Thanks again for all of the help and for supporting veterans. Thank you very much for all your help with my PTSD claim. It’s been a pleasure working with you and your staff and I would recommend you to any of my fellow veterans. You are awesome. I have looked at what your firm has done for me, and I am in awe. You’ve really taken the gloves off with the VA. Thank you. The ladies and gentlemen at this law firm are the most result getting people that I’ve ever seen. Period. They care deeply about veterans. A humble thank you. Thank you. I’m able to live my life again. I have a savings that is there for me, but with your help I have my widow’s benefits. You and your firm treated me like family. Always there to answer my questions, and make me feel that everything was going to be ok. Everyone in your firm was nice and caring. I was kept informed and the day I was told my husband had months [to live], Mr. Gang talked to me with care and concern for me. From the bottom of my heart...many, many thanks. This means more than the money...Thanks my friend. I want to personally thank you for the awesome job you and the team did in resolving my claim with the VA. I want to personally thank you for the awesome job you and the team did in resolving my claim with the VA. I'm completely satisfied with the end results and feel a little of something is better than a whole lot of nothing. I will keep your contact information for future reference and refer veterans to you when applicable. I will always recommend you to my fellow veterans. Hello, Mr. Gang, I just received from VA a permanent status for my 100 percent; thank you for your concern and attendance from you and your staff. I will always recommend you to my fellow veterans of your great service and dedication, thank you again. I have been consulting across North America for two decades in complex medicolegal/forensic civil cases, being retained by plaintiff and defense attorneys. I have never come across an attorney so organized and so aware of his key prioritized material. Moreover, Eric was a pleasure to work with, competent and empathetic towards his client. I strongly recommend Eric in his specialty area of VA and related disabilities. Dr. Vernon Neppe, M.D. Ph.D.
Mr. Gang is sharp and a professional lawyer. Never file a claim without a lawyer's help. Use Mr. Gang. Mr. Gang talks to you on a professional level, explains details what he needs from you, and what he will do for you. I have already given out the name of Mr. 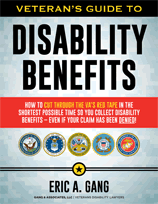 Gang to disabled veterans who have trouble with their claims. Mr. Gang is sharp and a professioal lawyer. Everything is a lot better with a lawyer who knows the VA system. It's like pushing a brick wall and the service organization, the VA, is not really trying to help you. Once I had a good lawyer, Gang & Associates, I got a lot of things done. A lot of doors started opening up. I didn't have to stress out; everything was taken care of. Mr. Gang ogot me 100 percent and now I can buy a good house and no stress. Everything is a lot better with a lawyer who knows the VA system. Well I started back the first time I went to the PTSD program for 8 weeks, 1999-2000. Then that claim went dead and I refiled in November 2005. Ended up hiring Eric Gang to help me. I went everywhere and he helped me. I couldn't get anything done on my own. But when I got Eric Gang everything came together for him. Eric Gang achieved everything for me. I can't thank him enough. And his staff, if I had questions I got an answer. Everybody seemed to be very helpful. I worred them to death... The end result was they got my claim and my life has changed to the best it has every been. My advice is to get a lawyer first, like Eric Gang, a man that knows what we as vets are going through. And knows how we feel. He has really been a God-send for me. I trust him and thank him. Eric Gang never gave up. Fighting VA for 11 years. The people at the American Legion didn't seem to know what they needed to do and even admitted making a mistake...Also, they discouraged me from continuing and implied that I didn't have a valid claim. It was a long process but Eric Gang never gave up. He encouraged me to be patient even when I felt like giving up. I was always able to speak directly with my attorney when I needed to, not just with a secretary or other staff member. Receiving the widow's pension has provided me a level of financial security that removes some concern about my future and present. Eric seemed to work miracles. Without Eric and his team nothing would have ever happened. The VA was useless. Eric seemed to work miracles, continuing to work on my behalf. Even after his original success against the VA, he got another $443,000. I have paid off my mortgage and ended a long struggle with the bank. I would not hesitate to recommend Eric to any vets who want a quick and winning conclusion to their struggles with VA.
Mr. Gang is an attorney of the highest caliber. His advocacy skills, dedication, and professional ethics are exemplary. I have been a licensed attorney since 1998. I am in good standing and admitted in New Jersey, New York, and the District of Columbia. I am also a continuing legal education instructor with Lawline.com and an adjunct professor of Legal Studies at Farleigh Dickenson University in Madison, New Jersey. I have known attorney Eric A. Gang, Esq. for approximately the past 15 years. I have had occasion to work with him as co-counsel on various cases and as opposing counsel in at least one case. I am fully familiar with his legal work and professional ethics. Mr. Gang is an attorney of the highest caliber. His advocacy skills, dedication, and professional ethics are exemplary. I would not hesitate to endorse Mr. Gang for any case within his area of practice. After more than 40 years of denials from the VA, I am now at a 50% rating. It was through your legal advice that I was able to attain this rating. I am writing this letter to thank you for your expert legal advice in connection with my recent VA claim. After more than 40 years of denials from the VA, I am now at a 50% rating. It was through your legal advice that I was able to attain this rating. You are one in a million. Your legal advice, patience, and understanding are outstanding. I certainly would recommend you highly to any other veterans needing legal advice to solve their veterans claims. In just one year, Eric accomplished what I’ve been trying to do for 18 years. Eric Gang is a very efficient, hard-working attorney. He cared enough about me to take my case, even when he didn’t know me from Adam. In just one year, Eric accomplished what I’ve been trying to do for 18 years. I have already referred some of my service buddies to Eric and will continue to send more. Eric is always there for me, even though my case has been over for a year. Eric’s a very nice man. I appreciate that he had enough faith in me to believe me. Eric accomplished more in one year that I have in 55 years of trying. Dear Mr. Gang, How do I begin to thank you as my attorney. In less then one year you have accomplished more than I have in 55 years of trying – 9 of those years with legal representation. You have had my medical record finally reviewed by a qualified orthopedic surgeon. You have always kept me informed regarding my claim. I will always listen and follow your advice and be very grateful for it. May God bless you and your loved ones. My husband will finally receive 100 percent of his PTSD VA benefits, after trying to receive those benefits for the past 8 years. It gives me immense pleasure to write a testimonial letter for Eric A. Gang, LLC, and his law firm. The service and personal attention we received from Eric A. Gang, LLC were exceptional! Mr. Gang and his law firm helped my husband win his appeal to receive his VA benefits. With the help of Mr. Gang and his law firm, my husband will finally receive 100 percent of his PTSD VA benefits, after trying to receive those benefits for the past 8 years. If I didn’t have your help and hard work you have put into my case, I would still be trying for service-connection. To this day it has been 56 years trying. First, thank you very much for all your help to get service-connection for my right knee. I have been trying to get service-connection since June 20, 1956. If I didn’t have your help and hard work you have put into my case, I would still be trying for service-connection. Whenever I see a Vet that needs help I will tell them about you. I want to thank you again. Your kindness and expertise made for smooth going. Eric, I must admit that I was skeptical, at first, about my ability to receive compensation for my hearing disability resulting from my military service. I assumed the road to apply for this benefit would be tedious and time-consuming. But here we are today, with a successful result because of your efforts. I want to thank you so much for the time you spent with me and my wife, Gail. Your dealings with me were kind and took into account the vision and hearing issues that I have. With anyone else, this could have been a very frustrating experience. But your kindness and expertise made for smooth going. I picked Eric because veterans disability is all he does. Eric is the greatest lawyer I ever used. He really helped me. Eric did what he said he would do. He won my claim. For five years, the VA led me in circles. I don’t know how they get by with that. When Eric and I hooked up, it was not long before Eric had me at 100%. I don’t know why VA wouldn’t approve it. I have referred other veterans to Eric, and will continue to send them to him. Eric’s a good guy and I like him. He talks to you in terms you can understand. He kept me up to date and informed. I really like that. I picked Eric because veterans disability is all he does. I am a Viet Nam vet and I left the service in 1970. I would recommend Eric to anybody and I have. A friend in California referred me to Eric. I’m glad he did. Eric knew what to say and what to write. He got the rating. Eric is the best lawyer I’ve ever run across. I filed my first appeal in 1994, and I’ve been fighting the VA ever since. When Eric took my case, he got results in about one year. He’s a great guy and I recommend him to anyone. I went to 3 or 4 attorneys before I chose Eric. When Eric came on board, he knew what to say and what to write. He got the rating. My brother had the same problems, and other people I know. They went through the same thing. Eric is a good attorneys. I was in Viet Nam in 1965. I got PTSD. It was very traumatic and there were many like me in Viet Nam. My financial struggling is a thing of the past. Positive. And my financial struggling is a thing of the past. I was able to cancel all my debts. I would definitely recommend your law firm because of your professionalism. I had been fighting my claim for individual unemployability for a total of 4 years. I had a very positive experience with your firm. In less than one year I saw results in my favor. I was surprised at how fast the firm reacted and worked. Very positive results for my family and my person. Was not counting on the income I am receiving today, thanks to your law firm. I would definitely recommend your firm to another veteran because of your professionalism and the firm takes and considers every case seriously. I would recommend all veterans to start the appeal directly by your law firm. Listens, cares and willing to go the extra yard. You were prompt with your responses. You did not give up in what looked like a hopeless situation. The monthly check has helped to enrich our lives since my wife had to quit her job to care for me... Listens, cares and willing to go the extra yard. Everyone in the firm is very knowledgeable about military law. I was fighting in the VA for about five years. The most frustrating aspect of the VA appeals process was waiting or needed information. I started on my own, but then they refused my claim. Your law firm is awesome! I was very happy to hear that I’m 80% but being paid for 100%. I purchased a 2009 Hummer. Thank you very much. I love you guys. Everyone in the firm is very knowledgeable about military law. And tell me what’s going on in the case. It’s nice to have the extra money. I am thinking of purchasing a home in Puerto Rico. I absolutely would recommend you to other veterans. I told another veteran about you, and told her that Eric was a wonderful attorney. Mr. Eric Gang won my case and did an excellent job. Eric stayed in there all the way and gave me the confidence to hold on. I have been fighting VA in excess of 10 years–inability to reach the person in charge of my claims, telephone holds for up to 1 hour then wishy washy information, receiving the same letter dozens of times saying your claims is processed. Mr. Eric Gang won my case and did an excellent job. Eric stayed in there all the way and gave me the confidence to hold on and patience till he won my case. I would by all means recommend Mr. Gang. He knew every nook and cranny pertaining to my case. I couldn’t be more pleased with the outcome. I fought VA for 8 years. Being turned down so many times many appeals. The V.A. did a good job, but never really accomplished anything and was time consuming. Although we never met personally. I couldn’t be more pleased with the outcome. I was very surprised with the settlement. Never having to go to the office everything was handled rather over the phone or by mail. No inconvenience on my part. You achieved a monthly payment from the V.A. that has made our life much easier to live, that I never expected to happen. I would highly recommend your services; you know your business and anyone who would choose to use you would be very happy. I am deeply impressed with the manner in which your legal team and staff represents ALL Clients with dignity, honor, respect, loving care and deep concern. I can’t thank you enough, but I can say to my comrades that attorney Eric Gang is just like a comrade on the battlefield who covers you when the enemy is firing all their weapons in rapid-fire succession. I know that, as a client, we don’t often get opportunities to thank you and encourage other potential clients to seek your assistance in their affairs related to veterans claims, but today, it gives me great pleasure to thank you and also to encourage my comrades seeming help with their appeals and veterans claims related to their service and physical and mental traumas. I can’t thank you enough, but I can say to my comrades that attorney Eric Gang is just like a comrade on the battlefield who covers you when the enemy is firing all their weapons in rapid-fire succession. To you and your staff, I thank you. I pray for your continued success, for your families, and our country.